Do you ever find yourself going through the motions of salah without any deep connection or understanding? We all have been there and struggle to be “in the game”. 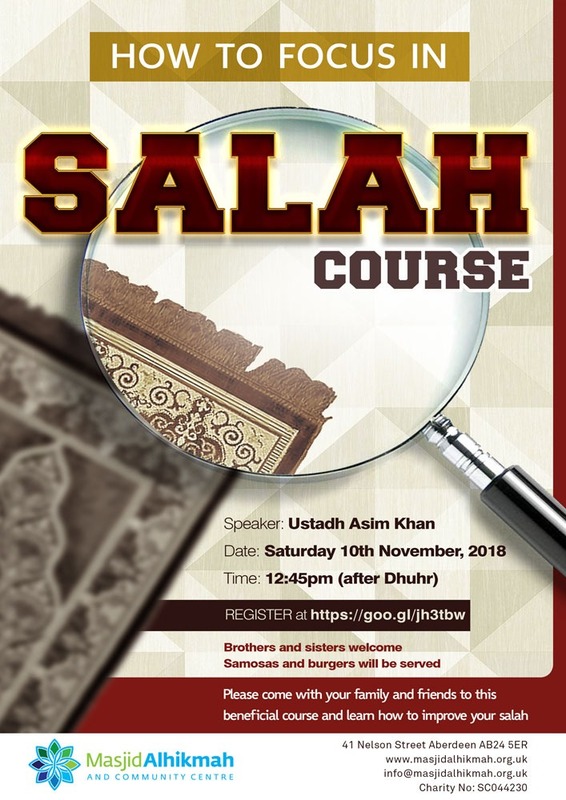 Ustadh Asim Khan will be delivering a course which will inshaAllah help us improve our salah. Salah is our connection with Allah and the first thing we will be questioned about. So it is essential that we get this right. Don’t take any chances, take this opportunity to attend this short but beneficial course with your family. Learn the meanings of the words of prayer and the wisdom behind them, and so much more. We are happy to let you know that there will be snacks right after the course. Also, you are welcome to enjoy our ping pong, snooker and foosball games in the masjid.